DICE went into detail about why they chose Roman Numeral “V” for Battlefield V rather than the number 5. According to DICE, the V references Winston Churchill and the "V for Victory" Campaign. During WWII, the “V” symbol was first suggested by Victor de Laveleye, Belgian Minister of Justice. He proposed that Belgians start using “V” for victoire (“victory” in French) as a rallying symbol. “The occupier, by seeing this sign, always the same, infinitely repeated, [would] understand that he is surrounded, encircled by an immense crowd of citizens eagerly awaiting his first moment of weakness, watching for his first failure,” explained de Laveleye. Later, the BBC officially kicked off a “V for Victory” campaign, with Prime Minister Winston Churchill approving the campaign in an official speech, during which he used the “V” hand sign. Churchill continued to use the gesture throughout WWII. 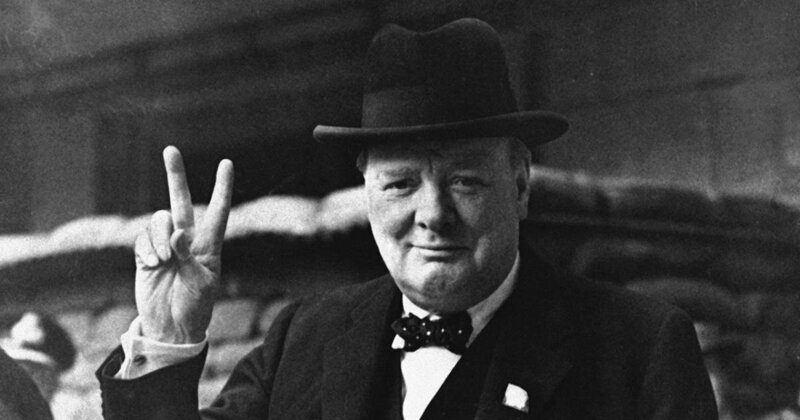 Naturally, the reference to “V for Victory” and Churchill specifically has sparked a healthy dose of conversation in regards to just how much of a rule England will play in Battlefield V.
As of right now, we don’t know much about whether or not Churchill will have a role in Battlefield V, and how much of a role countries like England or Belgium will play. Nevertheless, DICE’s explanation behind the “V” in Battlefield V is certainly enlightening. Battlefield V is scheduled to release on October 19 for PS4, Xbox One, and PC.